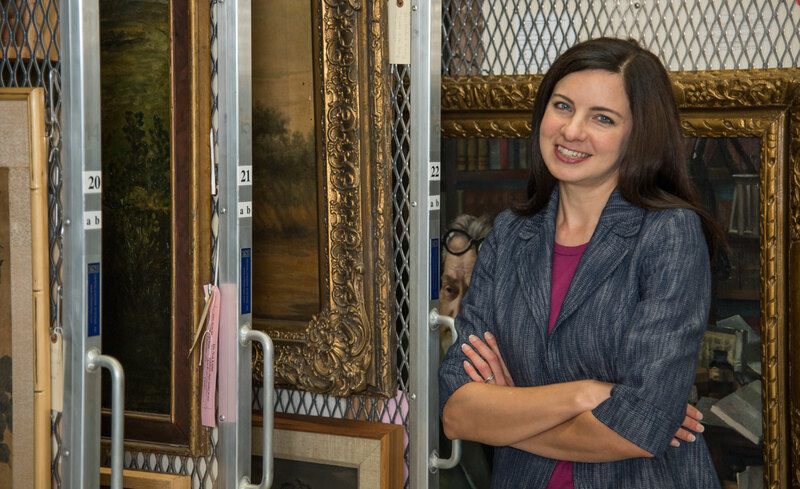 The Harry Ransom Center at The University of Texas at Austin has appointed a new curator of art who will focus on improving the Ransom Center’s ability to support students, scholars and the public through the interpretation of its rich art holdings. Tracy Bonfitto. Photo by Pete Smith. 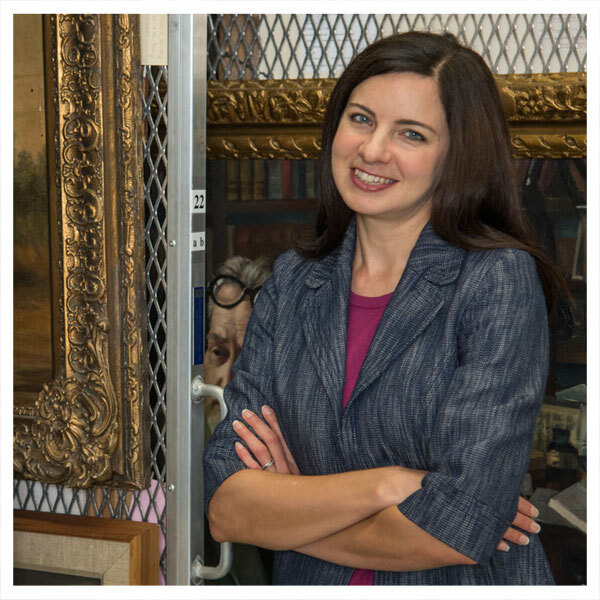 Tracy Bonfitto was named the curator of art on June 12 and started her new duties Sept. 12. Her professional experience includes affiliations with the Getty Research Institute, the Fowler Museum at UCLA and the Los Angeles County Museum of Art. She was previously a lecturer in the Art History Department at the University of California, Los Angeles. The Ransom Center is an internationally renowned humanities research library and museum on the UT Austin campus. Its holdings include manuscripts, books, photographs and works of art. Its art collection includes literary portraiture and artworks by writers and poets; notable North American, English, French and Latin American works on paper; works by Frida Kahlo and Diego Rivera; original book illustrations; and materials related to fine presses, including the Limited Editions Club and the Golden Cockerel Press. The Center also houses the largest collection of Eric Gill drawings, prints, blocks and plates in the world. Additional strengths include caricatures by Max Beerbohm and Miguel Covarrubias and satirical prints and drawings by George Cruikshank, as well as a significant collection of artists’ books and contemporary suites of prints by James Turrell, David Hockney, Elaine de Kooning, Robert Rauschenberg and others. Specifically, Bonfitto will provide curatorial support for the Center’s art holdings, promoting access for teaching and research use and interpreting the collections through exhibitions and outreach. She will also work to grow the art holdings and expand related description and cataloging initiatives. Bonfitto is a specialist in modern and contemporary South Asian art. She holds a Ph.D. in art history from UCLA, an M.A. in museum studies from the University of Washington, an M.A. in Asian cultures and languages from The University of Texas at Austin and a B.A. in anthropology and humanities from the University of Northern Iowa. Bonfitto recently co-curated the exhibition “Spirits in the Loom: Religion and Design in Tao-Lai Textiles” and previously provided curatorial support for “The Sahmat Collective: Art and Activism in India Since 1989,” “Ernest Cole, Photographer” and “The Fowler at Fifty” during her tenure at the Fowler Museum.